Good Morning. 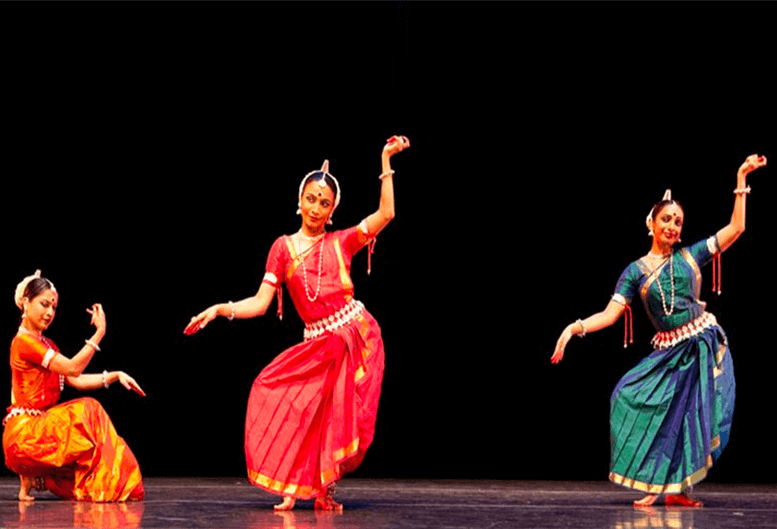 Welcome to Oberoi. 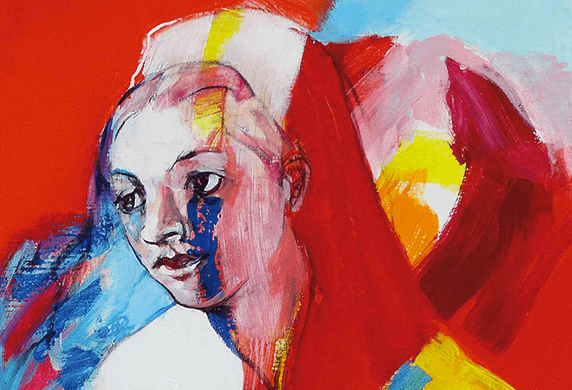 What stirs the traveller in you? 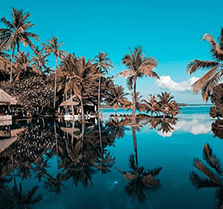 An idyllic beach on a faraway island? Shopping for rare treasures in an ancient city? 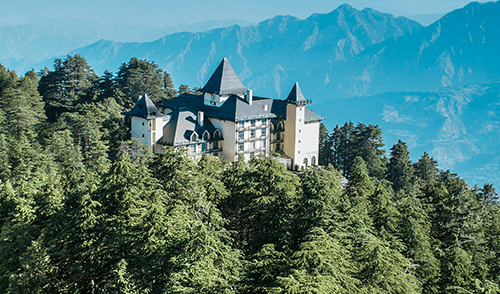 A picnic in the Himalayas? 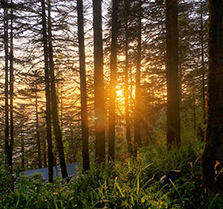 A leisurely cruise on the Nile or a jungle adventure? 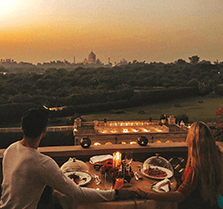 The Oberoi Amarvilas, Agra Inspired by Mughal palace designs; with fountains, terraced lawns, reflection pools and pavilions, The Oberoi Amarvilas offers unrestricted views of the Taj Mahal. 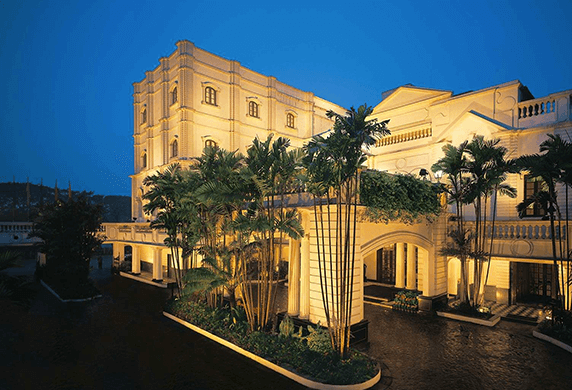 The Oberoi, Bengaluru Nestled in lush, tropical grounds and equipped with the latest in technology, The Oberoi, Bengaluru reflects and harmonises the dual personalities of Bengaluru, the Garden City and IT hub. 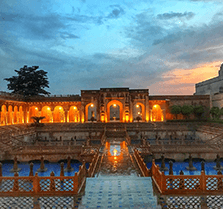 The Oberoi Sukhvilas Spa Resort, New Chandigarh Experience personalised Ayurvedic and wellness programmes surrounded by 8,000 acres of natural forest at The Oberoi Sukhvilas Spa Resort. 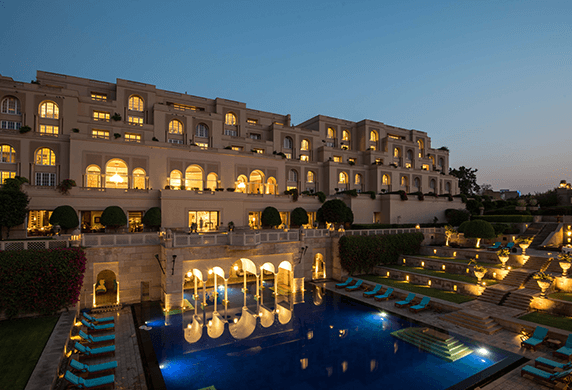 The Oberoi Udaivilas, Udaipur Falling in love with the charm of the 'city of lakes' is easy. 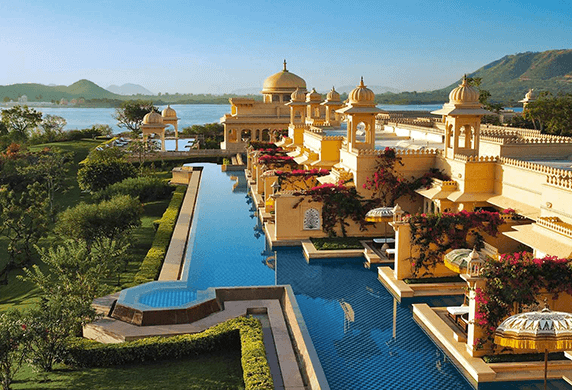 More so, when you are staying at Rajasthan’s most romantic resort , The Oberoi Udaivilas, located on the banks of Lake Pichola. 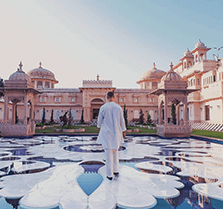 The Oberoi Rajvilas, Jaipur Experience a sincerely warm welcome to the “Pink City” of Jaipur when you stay with us at The Oberoi Rajvilas. 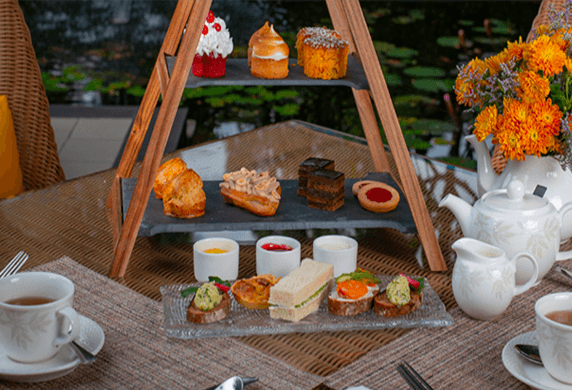 The Oberoi, Gurgaon A striking example of contemporary design, The Oberoi, Gurgaon is a nine acre urban sanctuary just minutes from New Delhi international and domestic airport terminals. 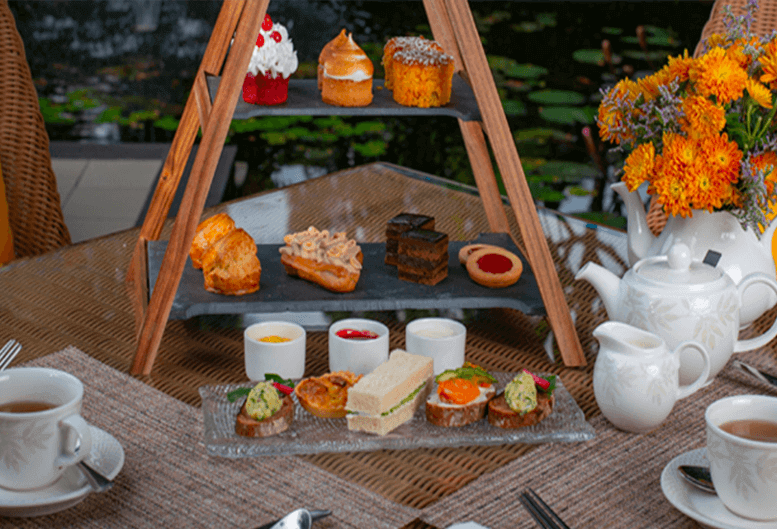 The Oberoi, Mumbai Located close to many business, cultural and shopping areas, The Oberoi, Mumbai enjoys a superlative position on Marine Drive in fashionable south Mumbai. 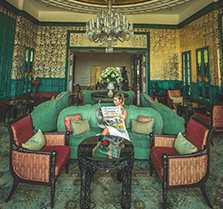 The Oberoi, New Delhi A storied landmark in the national capital, The Oberoi, New Delhi is a celebrated example of Oberoi’s reputation for taking care of its guests. The Oberoi Grand, Kolkata An icon on the landscape of Kolkata, with a reputation for taking care of its guests, The Oberoi Grand is located in the heart of this 'City of Joy'. 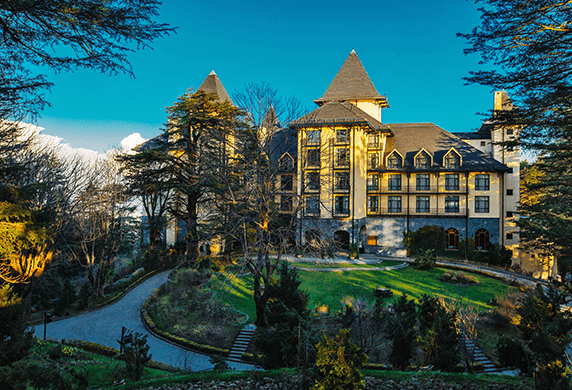 The Oberoi Cecil, Shimla A Heritage Grand Hotel with its rich wooden floors, glowing fireplaces, grand atrium lobby and panoramic mountain views, The Oberoi Cecil dates back over a century. 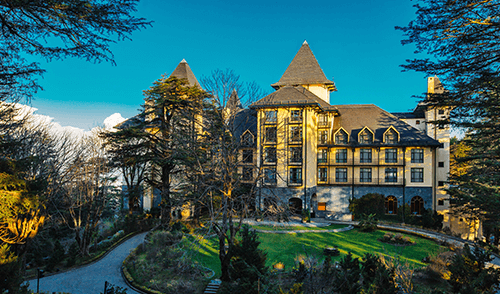 Wildflower Hall, Shimla In The Himalayas Set within 23 acres of fragrant cedar forest, 8,250 feet above sea level, Wildflower Hall provides a unique opportunity for you to lose yourself in the romance of nature. 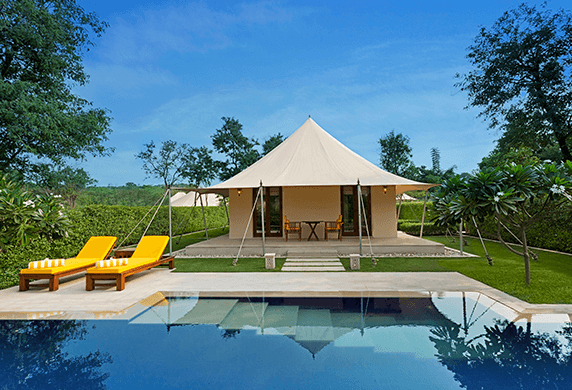 The Oberoi Vanyavilas Wildlife Resort, Ranthambhore Situated next to Ranthambhore National Park and Tiger Reserve, The Oberoi Vanyavilas Wildlife Resort is perfectly located for you to sight Royal Bengal Tigers in their natural habitat. 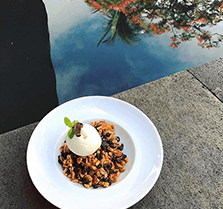 The Oberoi Beach Resort, Bali Located on the beach, embraced by fifteen acres of lush gardens and with a natural amphitheatre for traditional dances, The Oberoi, Bali guarantees you will have an inimitable experience of Bali. 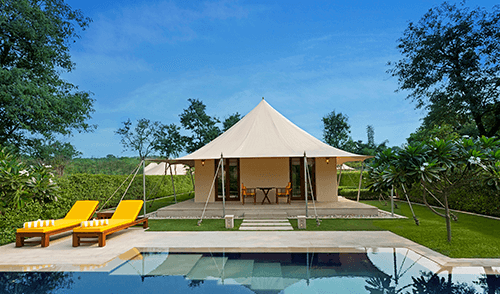 The Oberoi Beach Resort, Lombok Located on the shores of Medana Bay and set within twenty four acres of landscaped gardens with an infinity pool; it is easy to let the romance blossom at The Oberoi, Lombok. 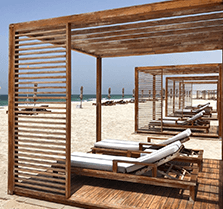 The Oberoi Beach Resort, Al Zorah Sophisticated contemporary architecture, wide open spaces and a natural palette harmonise with panoramic ocean vistas and long white sand beaches at The Oberoi Beach Resort, Al Zorah. 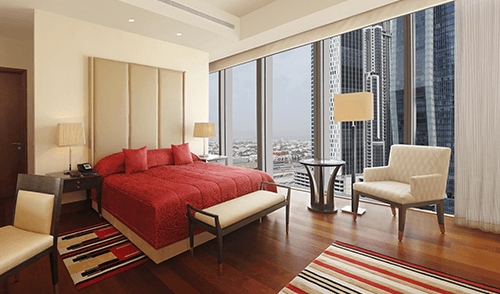 The Oberoi, Dubai Enjoy superlative views of the Burj Khalifa from The Oberoi, Dubai located at an enviable downtown address in Business Bay, close to Dubai Mall and Dubai International Financial Centre. 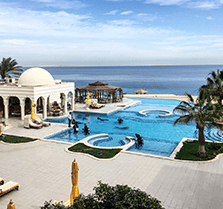 The Oberoi Beach Resort, Sahl Hasheesh Discover underwater treasures and beachside luxury that is unmistakably Oberoi when you stay with us at The Oberoi, Sahl Hasheesh; a 48 acre all suite resort that hugs the Red Sea shore. 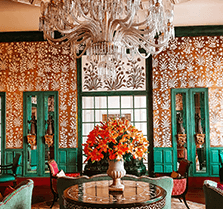 The Oberoi Philae, Luxury Nile Cruiser Cruise along the River Nile on The Oberoi Philae and fall in love with the secrets of ancient Egypt; from awe inspiring pyramids to timeless monuments and hand carved temples. 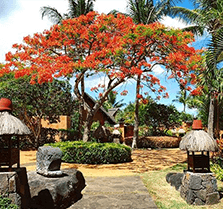 The Oberoi Beach Resort, Mauritius Situated on the white sandy shores of Turtle Bay, a natural marine park, The Oberoi Beach Resort, Mauritius is spread over twenty acres of lush, sub tropical garden and enjoys picture perfect sunset views. 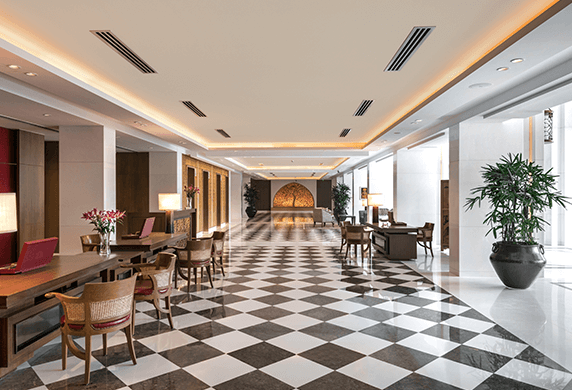 The Oberoi, Madina The Oberoi, Madina has abundant, rapid lifts and is just steps from the ladies’ entrance to Al Masjid Al Nawabi Al Sharief, so that you and your family can reach the tomb of the Prophet Muhammed effortlessly from our hotel. 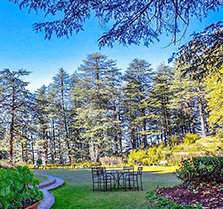 A specially crafted meal for two, served by a personal butler, under the stars and beside cascading water bodies. Choose between a specially curated four course dinner and our recommended Royal Indian ‘thali’. 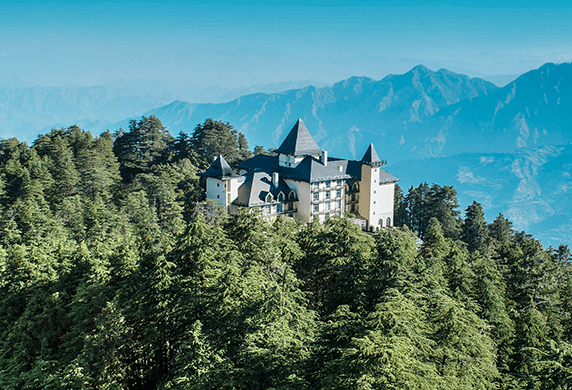 Delicious cuisines and a unique setting to inspire a special occasion. Note: Beverages are not included in the price. 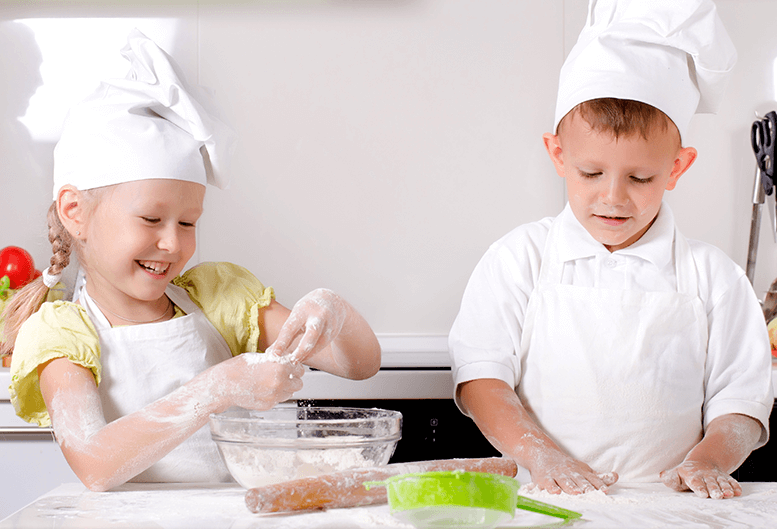 A fun, hands on cooking session under the guidance of an Oberoi chef where our young guests can choose to make cookies, cupcakes or Indian tandoori dishes, under the watchful guidance of our friendly chefs. Go for a classic recipe or get creative with ideas of your own. 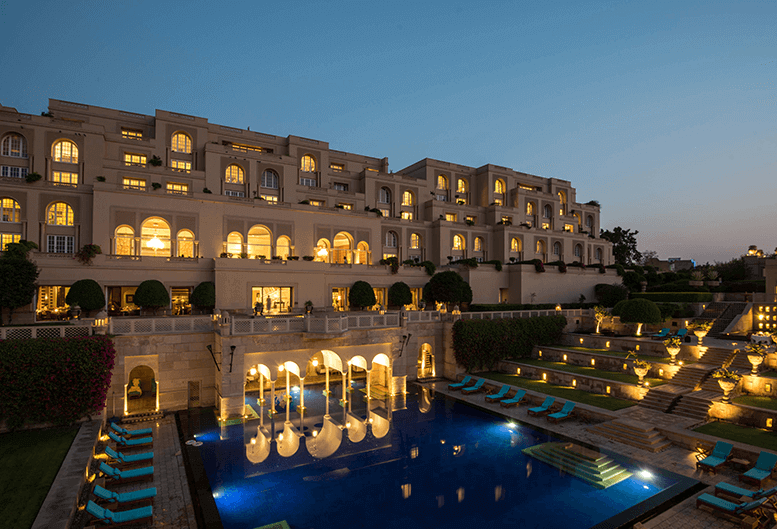 Staying at the Oberoi, as captured by our guests. Share your own experiences with #MyOberoi.